MANITOWOC, Wis. – Jagemann™ Stamping Company is proud to share its feature in the September edition of the Manufacturing in Focus magazine. 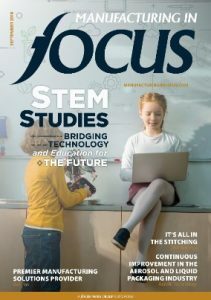 Manufacturing in Focus gives insight on the manufacturing industry and the top manufacturing companies throughout the United States. The feature can be found at https://www.manufacturinginfocus.com/current. Over 128,900 subscribers receive this popular magazine each month. Jagemann™ Stamping is considered one of the top manufacturing companies because of their specialization in deep draw, progressive, fineblanked stamping, and plastic injection and overmolding. The company has been serving customers around the globe since 1946.